55 years ago, now I feel old. I can recall visting the ship several times. I can remember morning after the ship went down and things started to filter through. The phone at home rang off the hook just about all day. My father was the Gunnery Officer on Voyoger, his cabin was right where Melbourne sliced through. He and the majority of the ships gunners were not on board, my Mother was in hospital & my father had a weeks leave, the Capt. decided that since they were only going out for 3 days and not exersising the guns he granted most of the gunners 3 days leave - they were the luckiest saliors alive. The three enquiries were quite an ordeal. As per SOP's the Ships Capt. took the heat. My father never spoke about it until he retired. 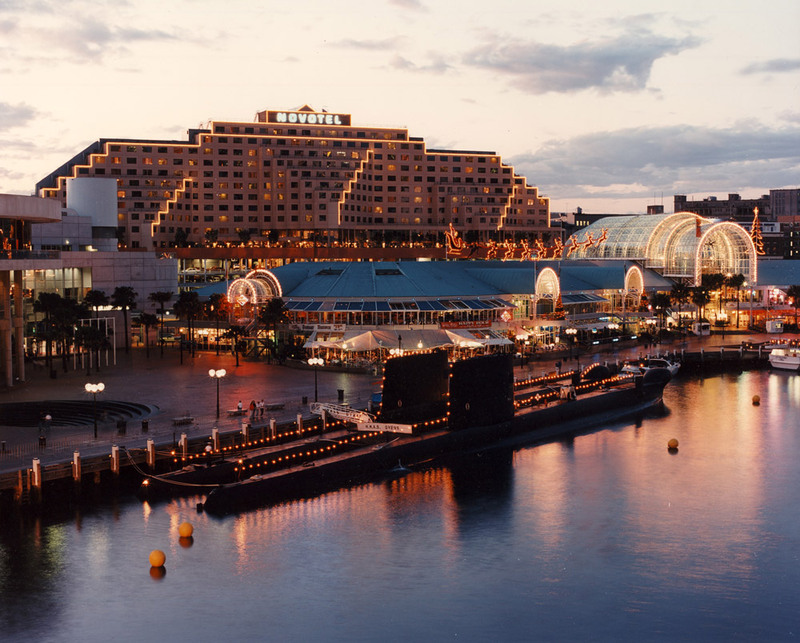 Ovens outboard Otway at Darling Harbour during Navy Week celebrations, I remember this event, I was the one who ran that weekend's events. Good times. That area is today unrecognisable, it's been completely rebuilt, originally completed in 1988 as a Bicentennial project, it was torn down and rebuilt over the last 4 years. 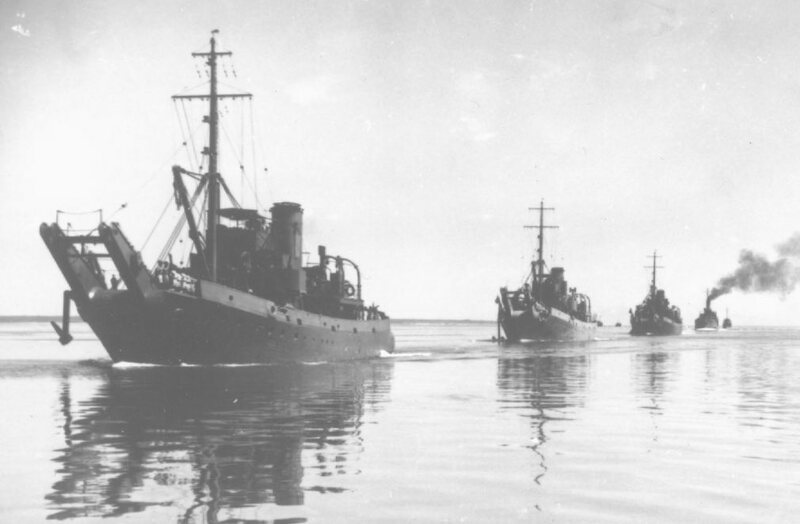 Destroyers HMAS Stuart and Waterhen in Farm Cove, Sydney in the last years before the Second World War. One would survive the war, the other would be the first RAN warship sunk in WW2. 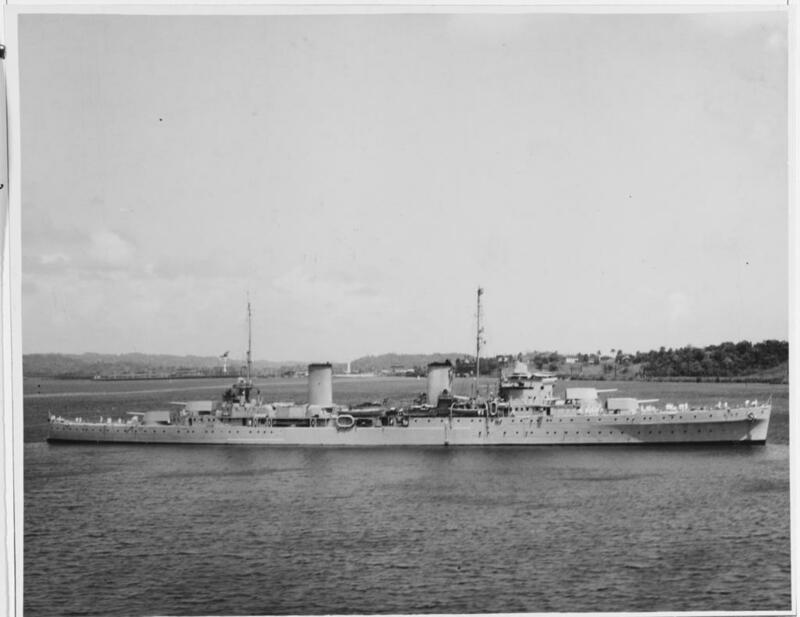 HMAS Kangaroo, a Bar-class boom defence vessel of the Royal Australian Navy, in company with her sister ships HMAS Koala and HMAS Karangi. 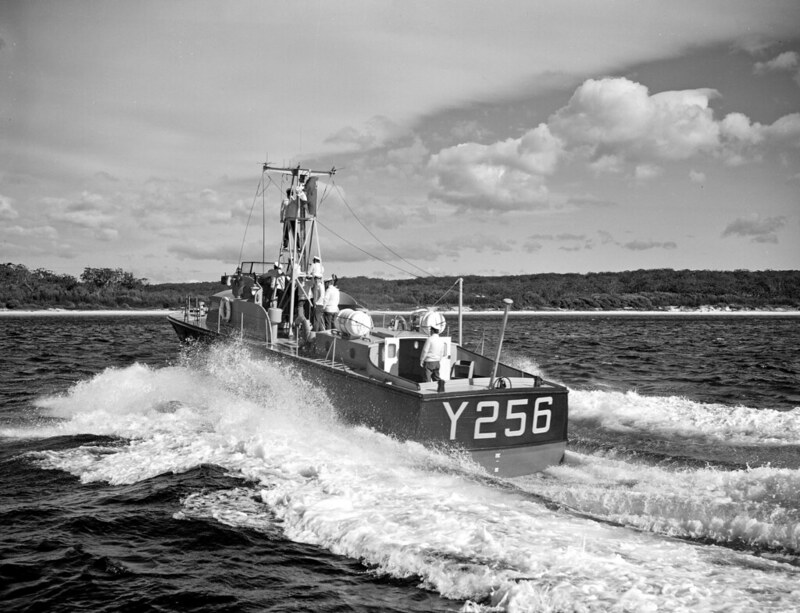 HMAS Air Sprite, one of a class of postwar-built RAN Air-Sea Rescue boats. 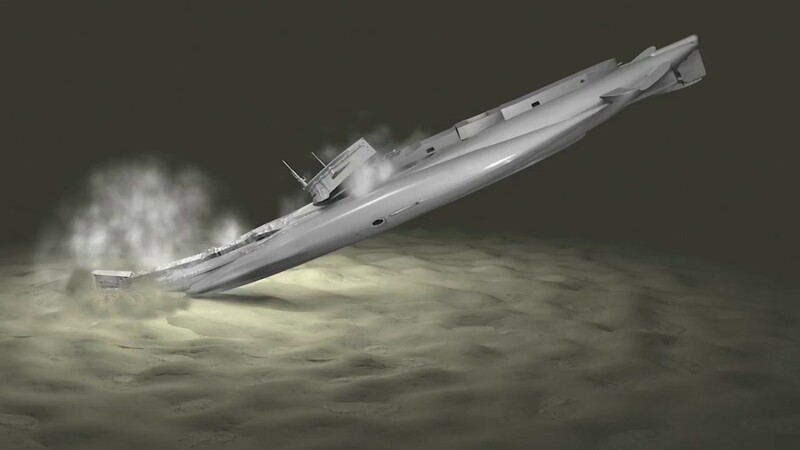 Just read the story of two of them that were involved in the rescue of survivors of the MELBOURNE/VOYAGER collision. The first one sailed within a few minutes of the accident with the other following about 10 minutes later. They rescued some 70+ survivors from the water when they arrived on station and rushed them back to CRESWELL to awaiting ambulances and medical staff. The survivors couldn't get onto the MELBOURNE as the swell was too great and most wouldn't have been able climb up the net due to broken limbs and burns. They went straight back out to look for more only calling it quits and returning to CRESWELL around 1000 the next morning. RussF172 wrote: Just read the story of two of them that were involved in the rescue of survivors of the MELBOURNE/VOYAGER collision. The first one sailed within a few minutes of the accident with the other following about 10 minutes later. They rescued some 70+ survivors from the water when they arrived on station and rushed them back to CRESWELL to awaiting ambulances and medical staff. The survivors couldn't get onto the MELBOURNE as the swell was too great and most wouldn't have been able climb up the net due to broken limbs and burns. They went straight back out to look for more only calling it quits and returning to CRESWELL around 1000 the next morning. A classic shot of them at speed. 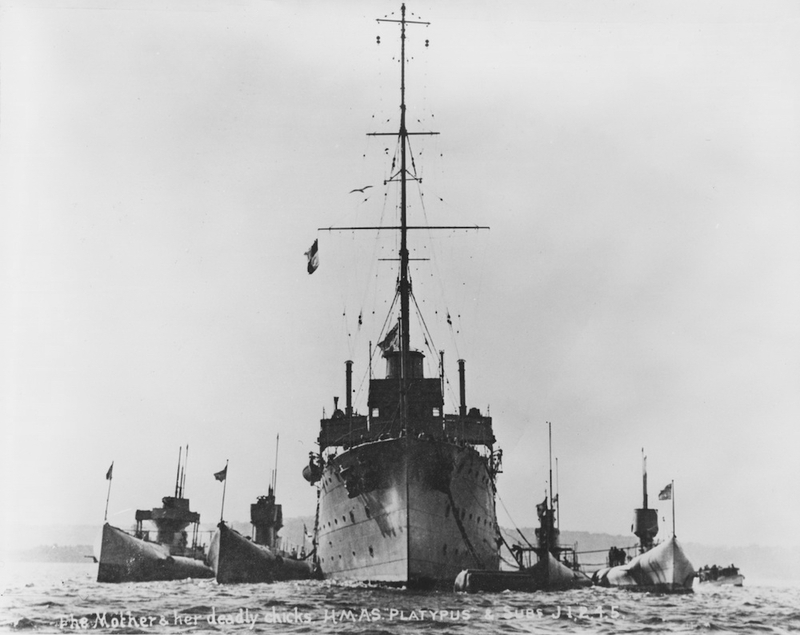 HMAS Moresby was built as one of the 24-Class of Royal Navy mine-sweeping sloops before transferring to the RAN in 1925. 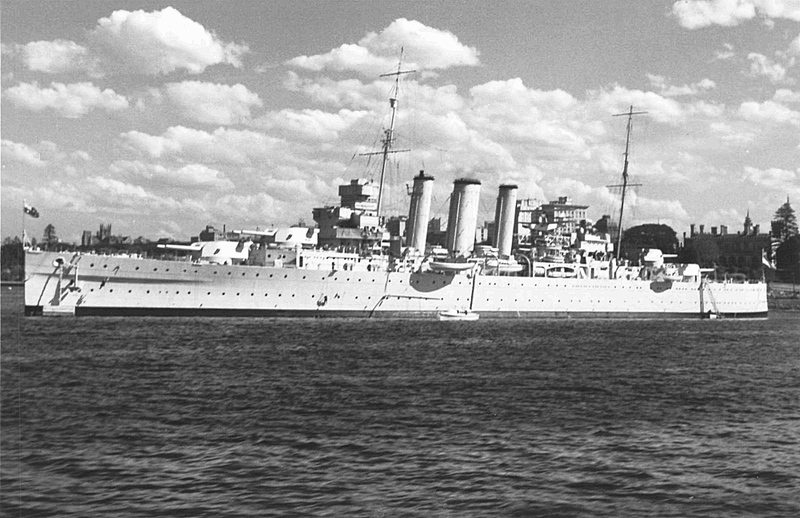 The RAN's only heavy cruiser to be lost in WW2, HMAS Canberra 1, seen here in happier pre-war days. The only time they could get five in formation, Melbourne wasn't there off Darwin as she was in bits at Garden Island, about 200 metres from where I was sitting at the time. A couple of phots at the Navy Photo Unit photoshopped her into an image, fake but impressive. 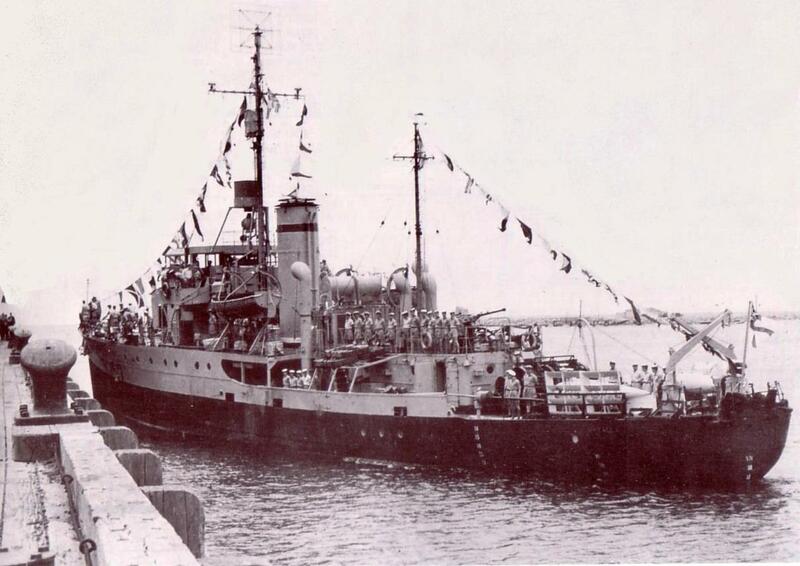 HMAS Jervis Bay (AKR 45) was a wave piercing catamaran that operated in the Royal Australian Navy (RAN). Built by Incat in Tasmania and launched in 1997 as Incat 045, the ship was chartered to TT-Line as Tascat to supplement cross-Bass Strait services until the company acquired new ships. 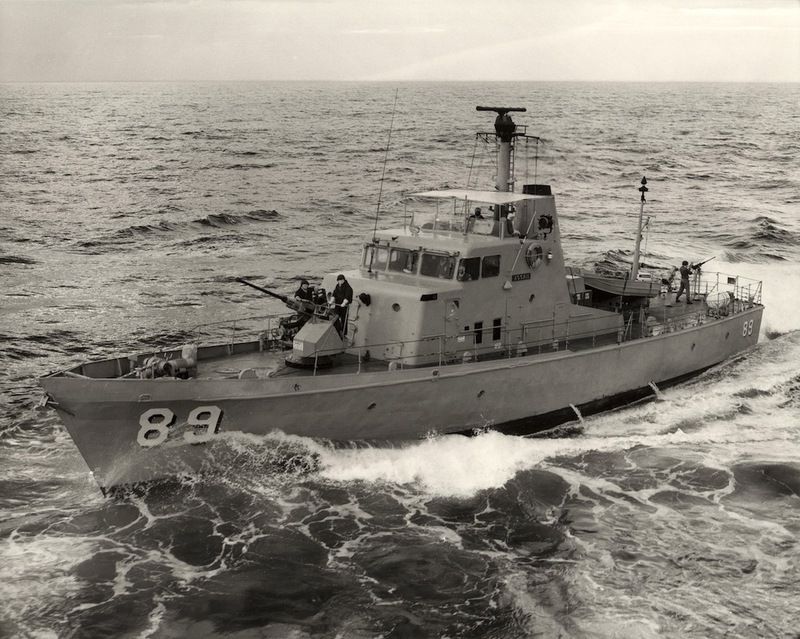 The catamaran remained laid up until 1999, when she was commissioned into the Royal Australian Navy as a troop and equipment transport, becoming the first large catamaran to enter naval service. 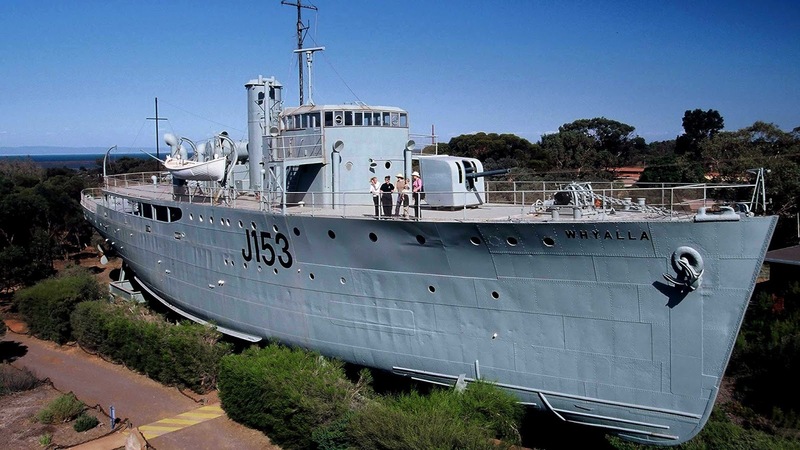 Jervis Bay operated in support of the INTERFET peacekeeping taskforce until May 2001, when she was decommissioned and returned to the builder. An absolutely sensational image of HMAS Warramunga. HMA Submarine AE1, lost early in the First World War in the South Pacific and recently found. 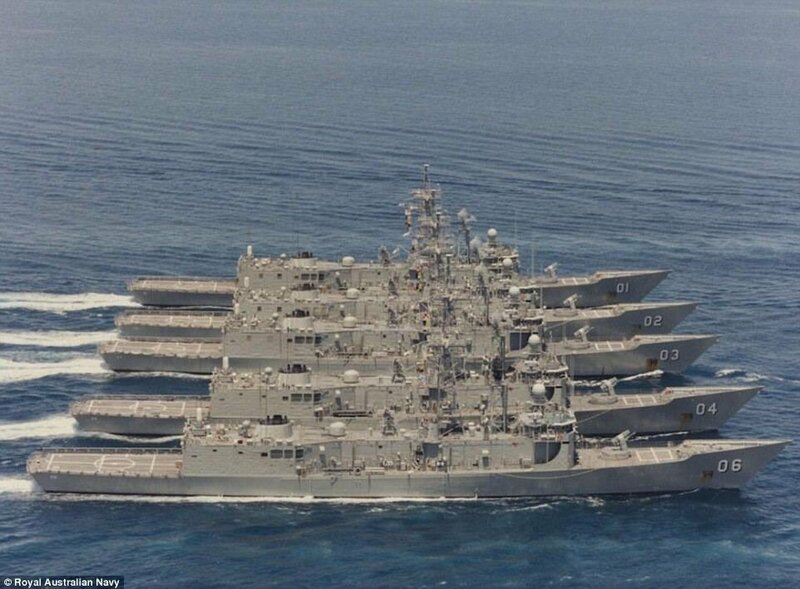 HMAS Melbourne in formation with her escorts, HMNZS Canterbury and HMAS Brisbane. 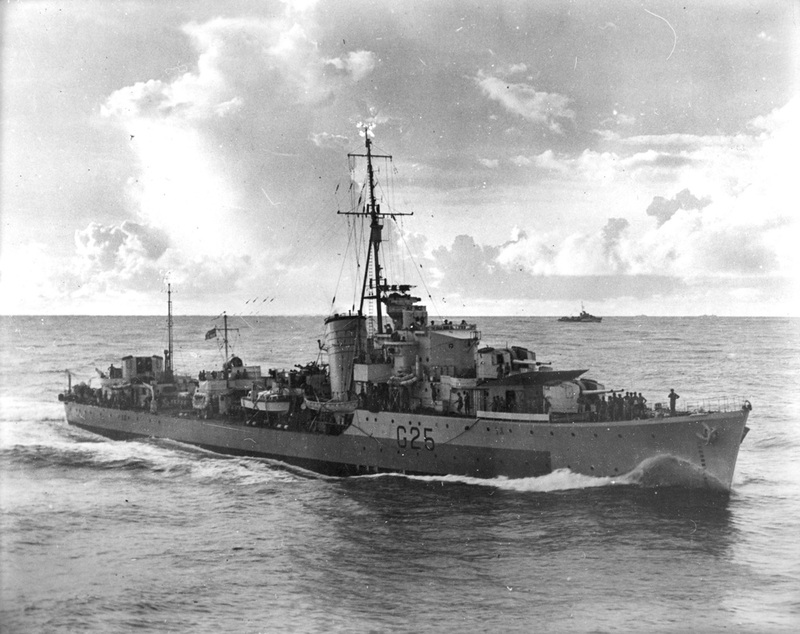 N class destroyer HMAS Nepal, seen in the Indian Ocean. 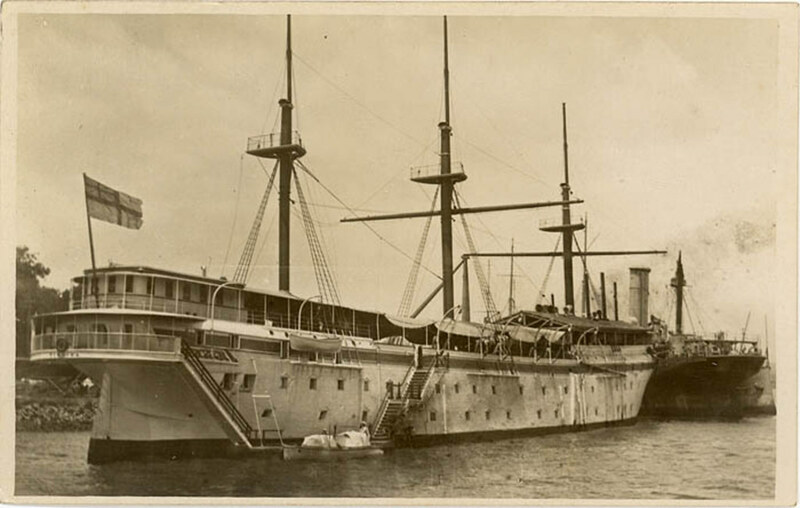 HMAS Manoora seen during Operation Slipper, the Australian contribution to the war in Afghanistan. Note the prominent Australian flag. 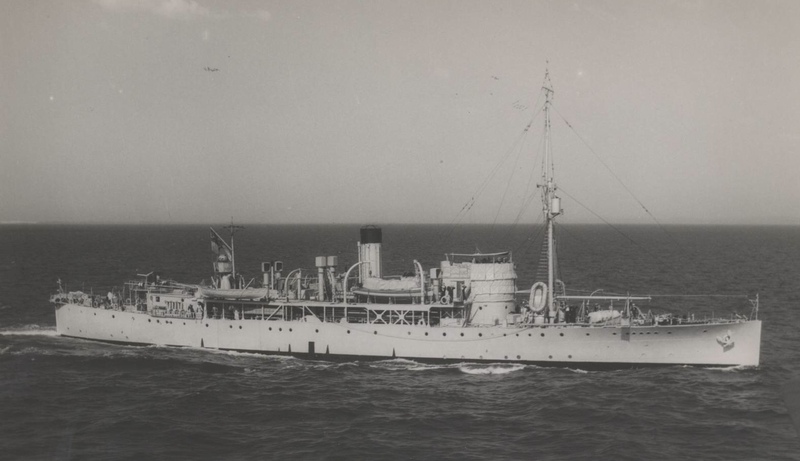 Attack class patrol boat HMAS Assial. I always thought that when they did the modernisation the KANIMBLA (which I was on) and MANOORA they should have widened the flight deck aft. They added sponsons for line handling on either side of the stern gate and thought they should have partially closed them in and used them as support for a wider flight deck. Suggested it but didn't happen. 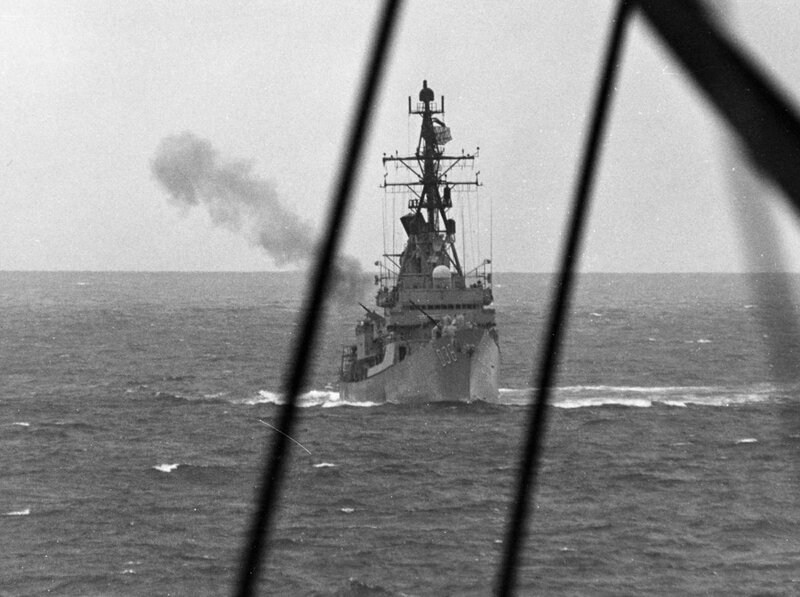 HMAS Perth firing on North Vietnamese targets, 23 February 1968. It was on that day that she fired her 5000th round on her second Vietnam deployment. 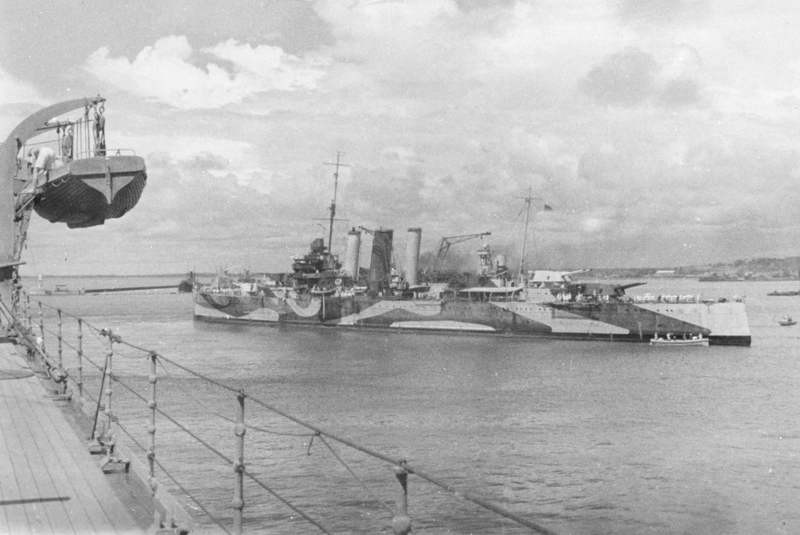 HMAS Canberra shadowing a Soviet Kara class cruiser at close quarters in the Indian Ocean. Last edited by MikeJames on 18 Mar 2019 11:14, edited 1 time in total. That looks like a Kara Class to me Mike.